Lily Robotics is a five-person company that has been co-founded by a bunch of recent Berkeley graduates. They were funded by Silicon Valley’s big shots such as Ron Conway. 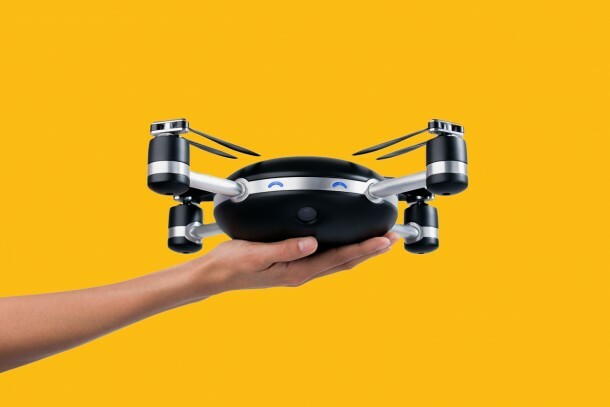 The company has come up with a camera drone known as Lily. The 3D printed prototype was recently tested by Henry Bradlow, CTO and co-founder, along with Nghia Ho who is the computer vision engineer. 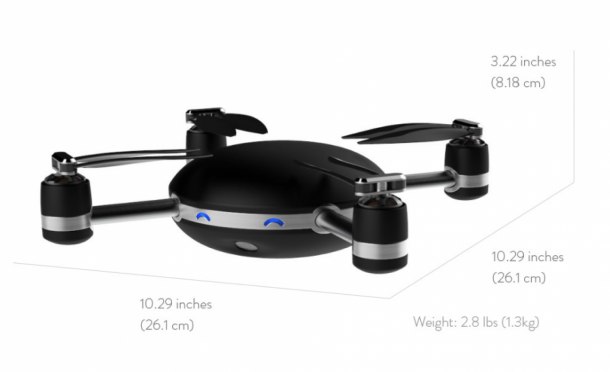 The camera drone sports four rotors and is capable of firing up and maintaining height when thrown into air. 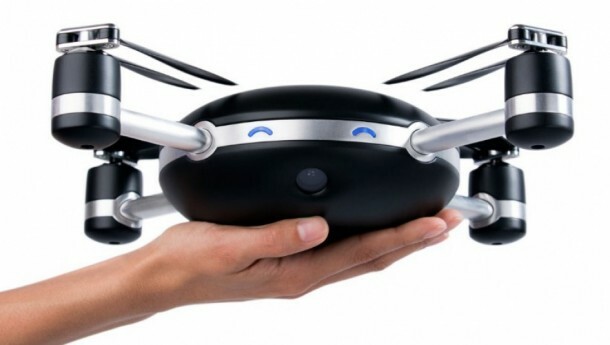 It is a self-flying drone that always follows the user and is capable of carrying out a particular set of commands. It works by following a circular tracker that can be kept in user’s pocket. 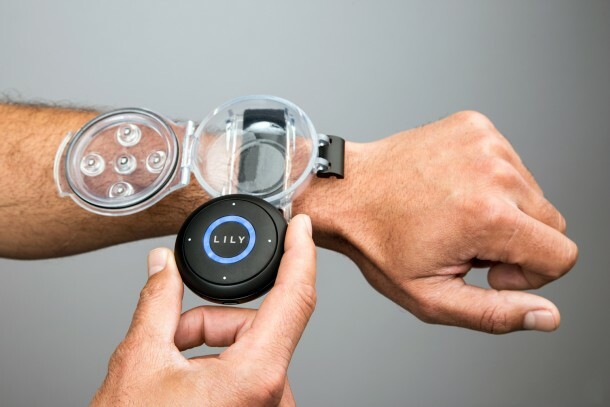 Lily is able to execute some neat camera moves by a simple tap on this circular tracker while remaining focused on the user. The incorporated camera is close to GoPro Hero 3. It can shoot 1080p video or 720p up to 120 frames per second. 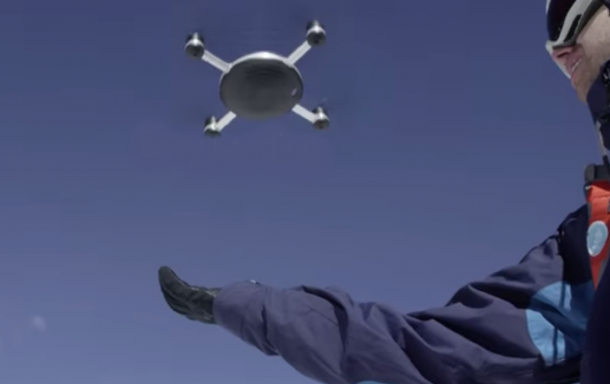 The drone is capable of determining when the user jumps while snowboarding and shall start the slow-mo feature of the camera. It is also capable of shooting 12MP stills and can also create a 360-degree panorama. It is capable of flying at a speed of 25 mph and is fully waterproof. With a range of about 100ft it can fly for 20 minute on a single charge. 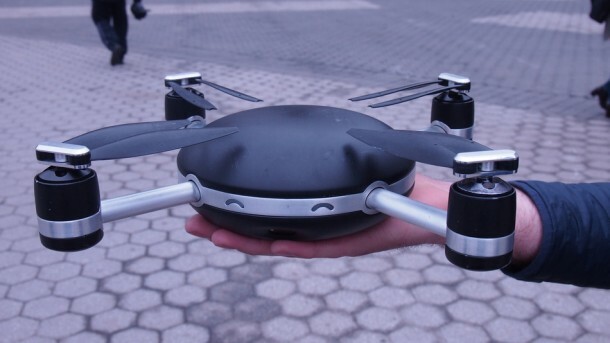 Although it is a drone, it would make more sense to approach this device as a flying camera. If you pre-order it now it will cost you $499 and if you order it afterwards it will cost you $999. The default settings can be tinkered with via the companion app or the tracker. There is no manual mode however. This device points towards the future of point and shoot. The prototype was shown off in a meadow in San Francisco’s Golden Gate Park. It is bulky and the company aims at making minute enough so that it can fit into the pocket. The idea is to make use of it as easily as you use your smartphone for taking pictures. Simply pull it out and throw it in air or hit take off on the tracker to have the drone hover above and around you.